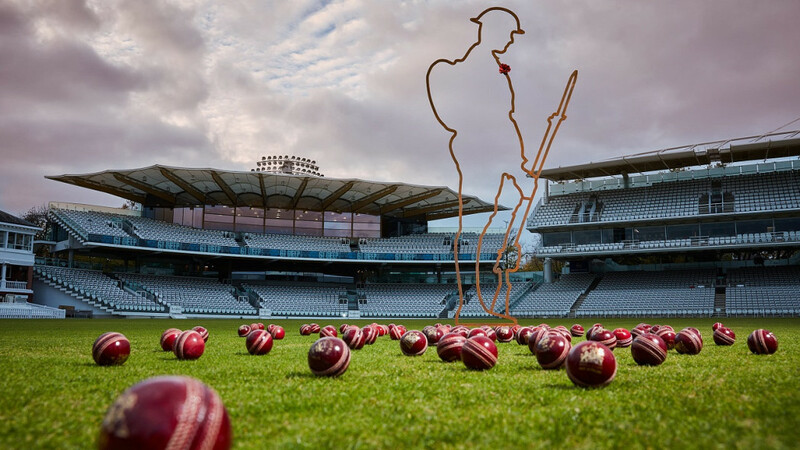 Tom Harrison, ECB Chief Executive Officer, said: “Cricket Remembers highlights the contribution made by people from cricket to the nation’s war effort. In his piece published today Frith recalls some the most remarkable stories from cricket in the World War I. Examples includes stories such as Andy Sandham, who in 1930 became the first player to score a Test triple-century, after being sent home from World War I due to injury, and Warwickshire cricketer Percy Jeeves, who was killed in France in 1916 but forever immortalised by P.G. Wodehouse’s famous valet, Jeeves, in his bestselling books. Rowley Gregg MC, Director of Operations, Remembered, added: “It is wonderful seeing a There But Not ThereTommy in such an iconic location to remember the many cricketers who lost their lives in the First World War. “Their losses were felt in counties across England and indeed in teams across the Commonwealth; First-Class Cricket was abandoned in countries around the world, from the West Indies to Australia and New Zealand, which shows just how many young sportsmen were taken away to fight.